This question is being asked a lot these days. It seems that overnight the subject of Nibiru has become a source of great interest and consternation. The Council (9D Nibiruan Council) told me back in 1996 that this time would come, when the subject of Nibiru would become a global issue, and when it did, my real work, the work they spent 9 years training me for, would begin. 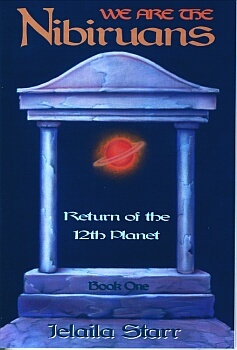 As more information is revealed to me, my understanding of Nibiru and its relevance to us has changed. The Council has diligently trained me on multidimensional concepts citing that only by viewing all events multidimensionally can one begin to understand the events of our time, much less life in the universe. The foundation of multidimensional thinking is ALL TIME IS NOW. When we really understand what that statement means, we have the key to resolving all the discrepancies about Nibiru as well as other events taking place on and off our world. To do so we must stretch our minds and our beliefs and move out of the fishbowl of our 3D reality and linear thinking. ALL TIME IS NOW means that we exist in a sea of coexisting simultaneous timelines. If you were to stand at a chalkboard and draw horizontal lines across it, one below the next, starting at the top of the board and working down to the bottom, you would have a good visual example of ALL TIME IS NOW. Each of those lines represents a timeline and each timeline exists in a dimension or dimensional overtone. Going further, events take place in each timeline and collectively are a reality. An example of this would be jumping back into the year 1860 to a certain date, place, time of day and into an event such as the birth of your great, great grandmother. You could jump back to the moment when she drew her first breath. What scientists are now learning is that it is possible to jump in, out and back and forth between timelines. That’s what the Philadelphia Experiment in the ‘40s was about. They made a ship disappear into thin air but what really happened is that they sent it to a different timeline. We call this time travel. It won’t be long before we are traveling interdimensionally (timeline and dimension to timeline and dimension) as well as interplanetarily (planet to planet). Many of the ET races visiting us now take the concept of interdimensional time travel for granted. I would venture to say that several of those races used time travel to arrive on earth in this day and time. It is my understanding that the ability to use time travel is encoded in our DNA, in fact, that is how some of us got to earth at this time. If you are a starseed or walk-in, in most cases you came from the future into the past to be here today. That means you came from one timeline in the future into a past timeline, now, to be here. Some of you even left your body in stasis and projected your consciousness into a body here. That technology, consciousness projection, also exists and we have seen examples of it in the movies, “The Matrix” and “Existenz.” In both films, the characters used technology to project their consciousness into another place and time. So consciousness projection is another form of time travel. I believe that we here on Earth are being trained by ETs through books, movies and other forms of entertainment to prepare us for entry into the galactic neighborhood where all these concepts are considered elementary. It requires a basic understanding of multidimensionality (multiple timelines, realities, etc) to begin to make sense of our world today. With so many ET groups and their channels sharing their versions of earth’s history and future it’s no wonder that we are confused and overwhelmed by all the conflicting stories. If we try to make sense of them using our limited 3D linear thinking, we will find ourselves frustrated, disheartened and distrustful. By viewing them multidimensionally we see how each version fits into the universal puzzle because the puzzle contains multiple timelines, realities, events, probabilities and so forth. Earth is not the only planet where spiritual and physical evolution takes place. It is my understanding that all planets and races are evolving in our universe. If that is the case then Nibiru and its inhabitants are evolving just like us. As we evolve, we create new realities such as our current Information Age. With each new age or reality, a consciousness grid is formed to support it. As this consciousness grid is strengthened and expands by more and more people believing in it, it becomes a new dimension. This is how we are creating a 4D and 5D dimension while still in 3D. The more that people accept the reality of 4D and 5D, the more those realities/dimensions are strengthened. In the 5th dimension, a major pole shift and cataclysmic earth changes do not exist. That reality only exists in 3D because the pole shift will only occur when the 3D Nibiru passes 3D Earth. Those who want to stay in 3D will experience a pole shift but those who wish to move to 5D will not. Let me explain this a bit more. To move into 5D we must shift to a new mass consciousness grid. I call this Consciousness Shifting and it is another form of time travel in that a portion of people on a planet can through the use of intent create a new reality/dimension/version of their planet and shift (ascend) to it. We already have 3 very distinct grids in which we collectively exist. They are 3D, 4D and 5D. As I said earlier, to avoid a pole shift we must have established another reality and strengthened it to the point that we make it as solid as our 3D reality. There will still be a 3D version but we won’t be in that reality any longer. It’s like radio stations, they all exist simultaneously but each one is a different version of reality. Using a radio, we can tune in and out of different stations. We must become like radios. This is where compassion comes into play. To become like radios, we need to tune our DNA. To tune our DNA we need a tool. That tool is compassion, not the 3D kind but the higher dimensional, multidimensional compassion. Scientists have now proven that compassion can change carbon based DNA to crystalline based so that it holds more light. When it holds more light it is of a higher frequency. So to tune our DNA to a 5D frequency (5D vibrates at a faster rate than 3D) we will need compassion to do it. But that’s not all. We will need enough people using compassion with the conscious intent to shift to a 5D reality to be successful and a consciousness grid through which to create it. Each reality is built on a framework, like a car is built on a chassis. The chassis provides the frame and support for the car. We need a consciousness grid upon which to build and support our new reality. To create a consciousness grid, we must have a global event that requires a large group of people to make a particular choice. That’s where the events of 9/11 come in. With the attacks on the World Trade Center and Pentagon, the people were called upon to make a choice, compassion or revenge. Enough people chose compassion to create a new consciousness grid (I call it the Compassion Grid). So now we have our grid. The next step is to anchor it all over the world and at the major grid points or sacred sites. We will begin that work this year with a trip to Egypt in March. Getting back to Nibiru, right now we can see Nibiru using medium-sized telescopes. It isn’t very far away, just past Pluto. If we were to do nothing more to shift our consciousness, remaining where we are today, we will have a pole shift, but it will not be as severe as is being predicted because we have already dimensionally shifted enough to avoid that. I believe our degree of shifting is the reason why many of the predictions have not come true. Going further, the fact that we are just now seeing Nibiru instead of several years ago tells us that we have shifted because the higher we shift dimensionally the further away Nibiru will appear. If we had not shifted, Nibiru would appear to be closer. Like a radio, the further away you move the dial from a station the fuzzier it gets until it is gone. This brings me to another point that needs explanation. In movies when people disappear there is a short period of time where they fade out. If you speed up the film it appears that they disappear instantly. But if you slow down the film, you will see them fade out and then disappear. This is what happens when a planet shifts dimensionally. So, in regards to Nibiru, as we shift dimensionally Nibiru will appear to be further and further away until, if we continue to shift high enough we won’t see its 3D version at all. Why? Because we will no longer be in 3D! So, yes, based on our present level of consciousness, Nibiru appears to be just beyond Pluto. And based on calculations done now, it or something that preceeds it and is related it to it, will be here in late spring 2003 creating a slightly less dramatic pole shift than currently predicted. But once again, that probability will only hold as long as we stop shifting our consciousness now and I don’t see this happening. Those who choose to remain in the 3D world will experience a major pole shift. Now if everyone decided to shift out of 3D, that wouldn’t be the case. But I wouldn’t bet on that happening since there are those who do not have ascension as part of their current incarnational plan. Devin, Head the 9D Nibiruan Council says that Nibiru’s return can be put in the same category as the predicted cataclysmic events of May, 2000 (they didn’t happen), he is making that statement based on the timeline and dimension we are projected to be in based on our rate of shift (ascension) at the present time. I realize that there is a lot of supporting information I haven’t covered that would make this more logical but it would take several more pages to share it. So, I will leave the in-depth explanations for workshops. Per my agreement of the Council, I’ll be traveling around the world in the next 2 years, teaching this multidimensional information and how we can avert a major pole shift through ascension. In closing, I hope with this explanation of multidimensional concepts that you understand how everyones’ predictions are correct when viewed in their proper timeline and dimension. And how we can change our experience of Nibiru’s passing through conscious intent and compassion, ascending our planet, our children and ourselves out of harm’s way. All that’s left is to do it. The grid is in place, the time is now. Jelaila Starr, author of We are the Nibiruans is an internationally known channel, teacher, and counselor. Through her lectures, workshops, and articles, Jelaila's message of compassion has touched the hearts of people around the world inspiring hope and understanding while providing solutions to some of today's most pressing challenges.